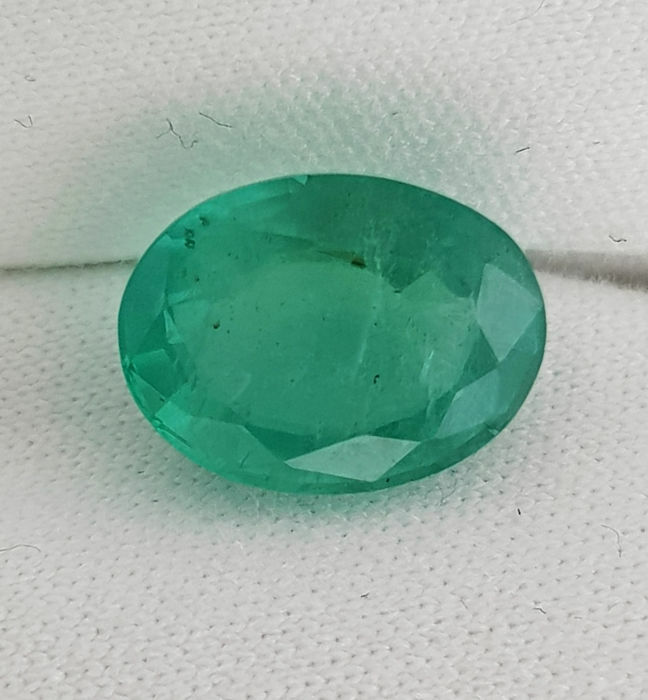 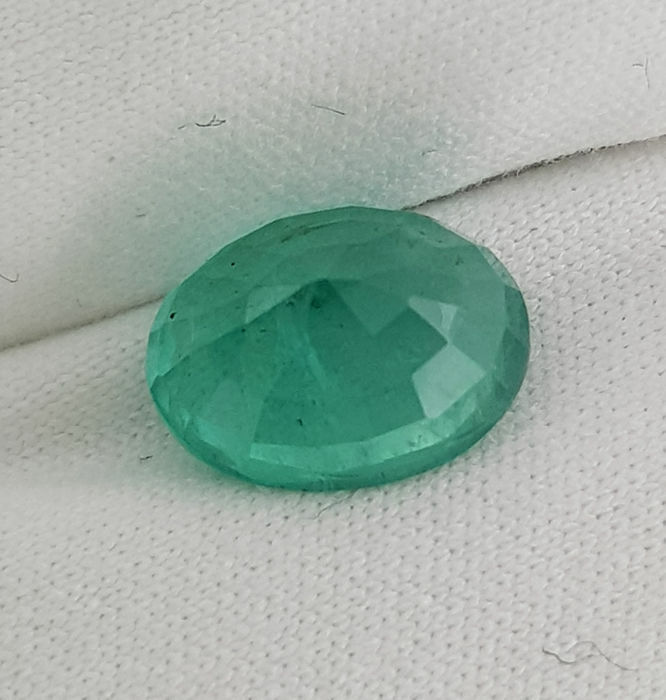 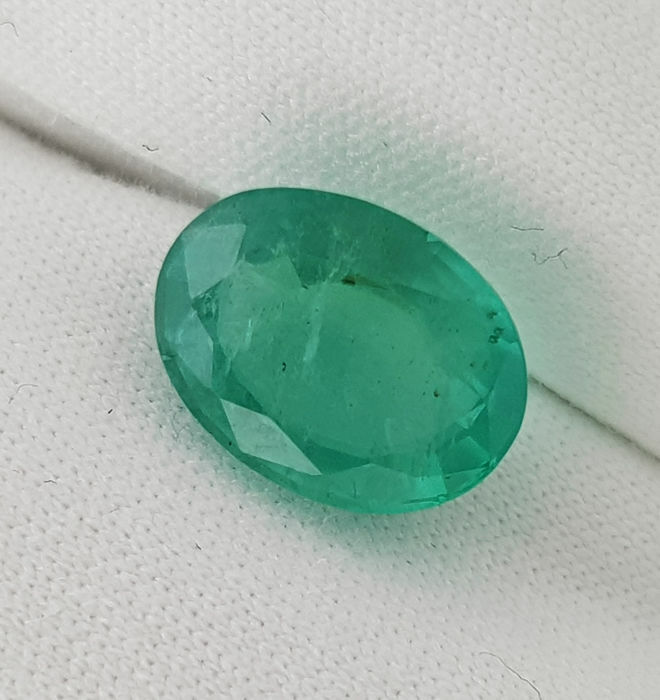 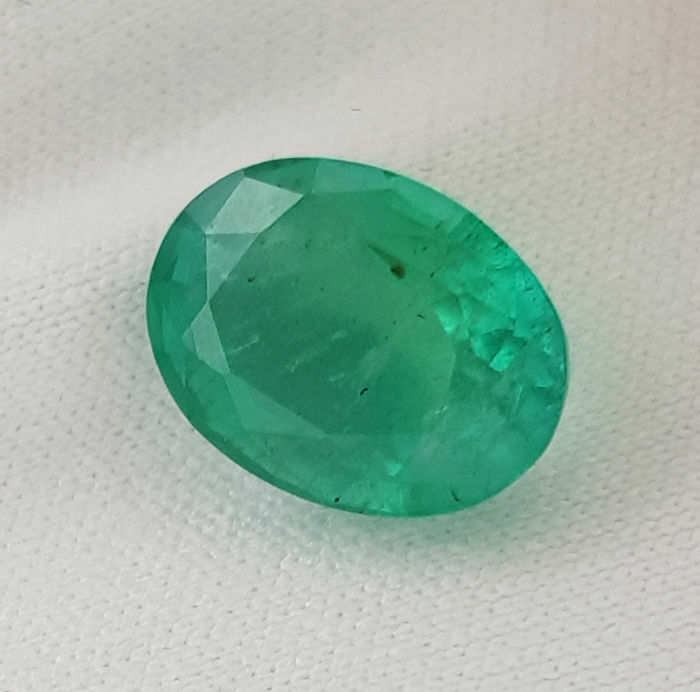 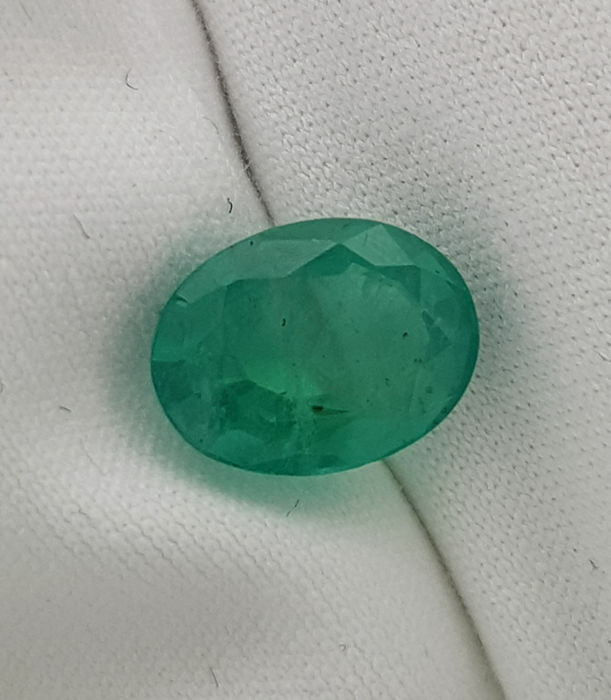 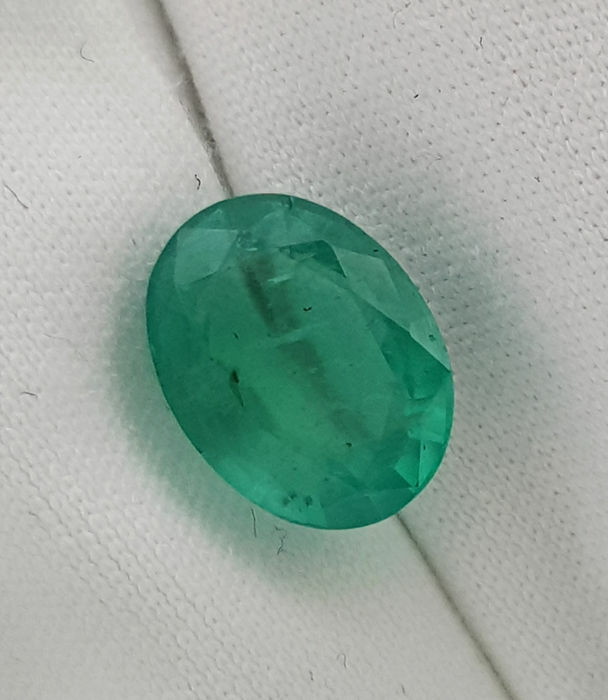 This is certified ''only green'' colour (quite clean) emerald, no other tint (i.e. 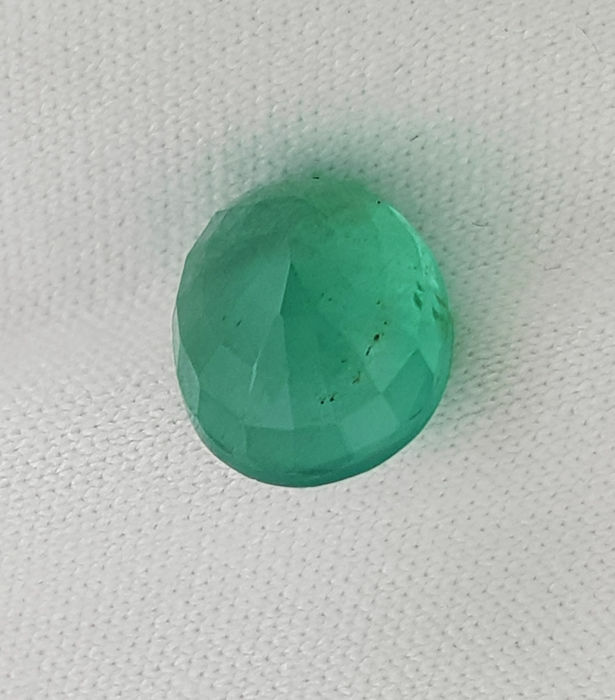 blue or yellow). 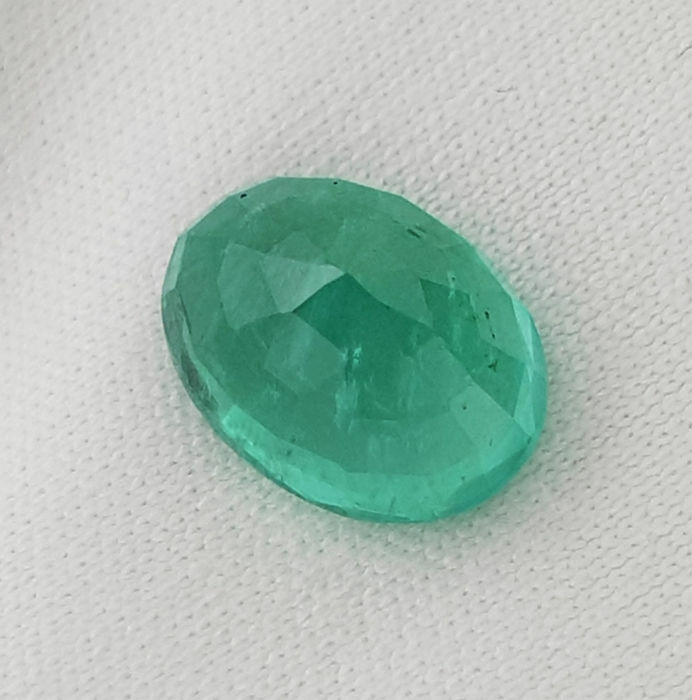 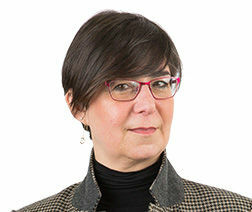 This quality specimens are rare in market and highly collectible. 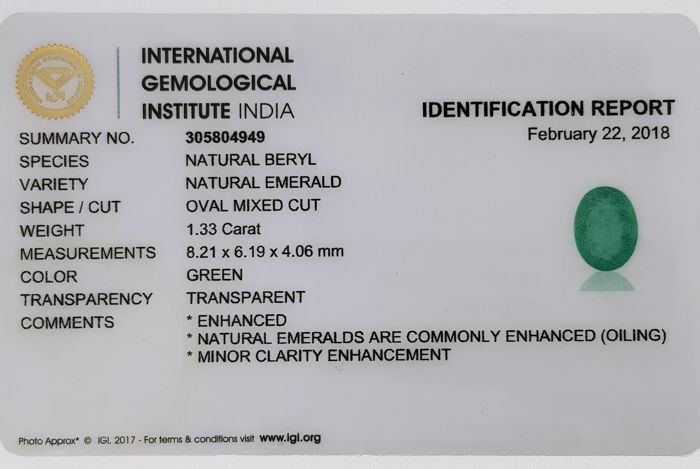 See international gemological laboratory certificate (2018) for more information.